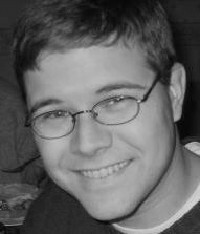 Charles Pike joined the Reed Staff in August 2009. Earning a B.A. in Music Composition from the University of Montevallo, Mr. Pike has returned to the Northwest to continue his professional career in the unique and thriving arts community in Portland, Oregon. Charles is an active performer throughout the region in folk, popular, chamber and orchestral ensembles, most notably the Vancouver Symphony Orchestra, Portland Chamber Orchestra, the David Vest Quartet, and occasionally you may catch him playing the Doumbek to accompany belly dancers. As an instructor of music and percussion, Charles began teaching in 1998. Since his return to Portland he has taught students of all ages. His students have won numerous awards in solo/ensemble competitions and have maintained top positions in their school ensembles, with some participating in Guitar Center's Drum Off Competitions. Currently Mr. Pike is helping to expand the percussion studio of Reed College by offering on-campus lessons on Drum Set, Timpani, Marimba, Vibraphone, African Djembe, and Egyptian Doumbek.